African American Language; Sociolinguistics; Critical Race Theory; Critical Discourse Analysis; language, identity, and intersectionality; motivation, goals, and possible selves; and language variation curriculum and policy in education. Sonja L. Lanehart, Professor and Brackenridge Endowed Chair in Literature and the Humanities, received her B.A. from the University of Texas at Austin and her M.A. and Ph.D. from the University of Michigan, Ann Arbor. She is a former Ford Foundation Post-doctoral Fellow, Ford Foundation Pre-doctoral Fellow awardee, Andrew W. Mellon Fellow, Lilly Teaching Fellow, and a member of Phi Beta Kappa National Honor Society and Phi Kappa Phi National Honor Society. She has won grants from the National Science Foundation and other agencies. 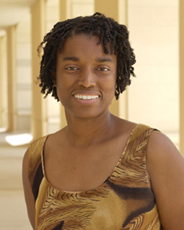 She has taught at the University of Georgia (1995-2006) and the University of Texas at San Antonio (2006 – present). She serves on several national and international professional organization committees, including the Linguistic Society of America, the American Educational Research Association, and the American Dialect Society. She is a past co-editor (with Paul Schutz) of Educational Researcher: Research News and Comment section, the lead journal of the American Educational Research Association, which is delivered to more than 23,000 members. In addition to numerous articles and book chapters, her book publications include Sista, Speak! Black Women Kinfolk Talk about Language and Literacy (U Texas Press, 2002), which received Honorable Mention in the 2003 Myers Outstanding Book Award competition sponsored by the Gustavus Myers Center for the Study of Bigotry and Human Rights in North America; Sociocultural and Historical Contexts of African American English (John Benjamins, 2001), African American Women’s Language: Discourse, Education, and Identity (Cambridge Scholars Publishing, 2009), and the groundbreaking Oxford Handbook of African American Language (Oxford University Press, 2015).